Here’s a fairly definitive statement: a reasonable life needs a shop. At some point, your “stuff” will break. At somepoint, you’ll simply feel stupid and ineffectual if you can’t do something about it. I know, some “stuff” can’t be fixed, was made to be thrown away. But, here’s the thing: the more you know about the way things work, the more you’ll start buying and keeping things that you can fix. There’s a bit of circular fulfillment in all of this. Besides, taking personal responsibilty for your “stuff” will temper your appetite both for new stuff and, especially, for junk. You’ll be more careful with what you have and you’ll respect the time (out of your life) that you’ve traded for it. So, a reasonable life needs a shop. Large or small, there a few basic tools you’ll need to be able to do the most common maintenance and repair tasks, even if you live in an apartment in the city. A Basic Starter Tool Kit – A single tool box with the basic tools needed for most emergency home repairs. This kit should include a little bit of everything, from a cordless drill and small socket set, to wrenches, pliers, and screw driver. See a more complete list below. Note: Some handy starter kits are available through Sears, Amazon (See their “Tool Crib“, for instance). Examples might include: The Denali 115 Kit and the Black & Decker Home Project Kit, both sold through Amazon You’ll need to add to both of these kits, but they’re a decent start. As always, you get what you pay for. Choose quality and you won’t regret it. A Basic Automotive Kit – Today, unless you’ve managed to keep Dad’s ’63 Comet on the road, most automotive repair is simply beyond the knowledge and skill of the average driver. Still, you’d be well advised to be able to handle certain basic roadside emergencies (and/or temporary set backs). At the very least, have a good set of battery jumper cables, a flashlight, and a small set of basic automotive tools such as a small socket and wrench set. A roll of duct-tape never hurts either. A variety of “roadside emergency” kits are available at your local big box retailer or, again, on Amazon. The average apartment dweller may have to settle for a tool box or two stored in the hall closet. 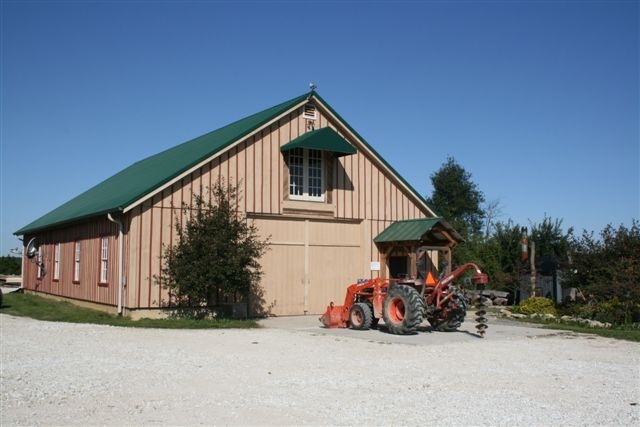 For everyone else, it shouldn’t be too difficult to allocate a little space in the garage, the basement, or backyard shed for an actual shop. 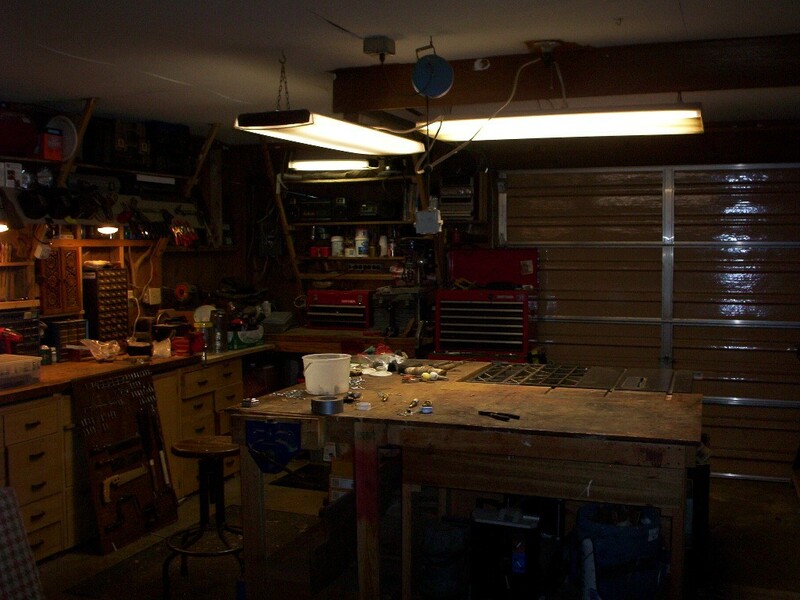 Really, this needn’t be any more elaborate than a workbench (or table) where projects can be laid out and dealt with in an organized manner and, perhaps, some shelving where tools and spare parts may be stored. A more advanced rolling model…something to work up to. What Else Do You Need? : Not much, really, besides the basic tools and a bit of patience and diligence to learn how to fix and/or make things. Start simple and take the time to study a problem. Their are a multitude of good DIY resources on the web, although good-old-fashioned repair guides should also be in your library. Also, take the time to talk with people who know. Other improvements: Oh, maybe some good lighting, a bench-top vice, sanding block and paper, various chisels, clamps, planes, and, oh, you’re in the soup now, because we’ve not even talked about power tools….. Covered above are just “the basics”, for those who simply want to be able to handle those projects that, really, just don’t make financial sense to call in a “specialist”. You’ll find, however, that once bitten by the handiman bug, there’s quite a lot of benefit from the confidence you’ll build. Soon enough, you might just consider moving on to more advanced capabilities. For some, this will include the exploration of new (or dreamed of) hobbies like woodworking, furniture and/or cabinet making, gunsmithing, home improvement and/or construction, car restoration, boat-building, picture framing, bowl-turning, guitar building, etc. The choices are limitless, really. And, frankly, there’s nothing quite like the sense of accomplishment you can get from working with your hands. My shop is evolving as there is time, budget, and need to do so. Shop time is usually in the winter and there’s usually a back-log of projects to organize, start, finish, or move out of the way. 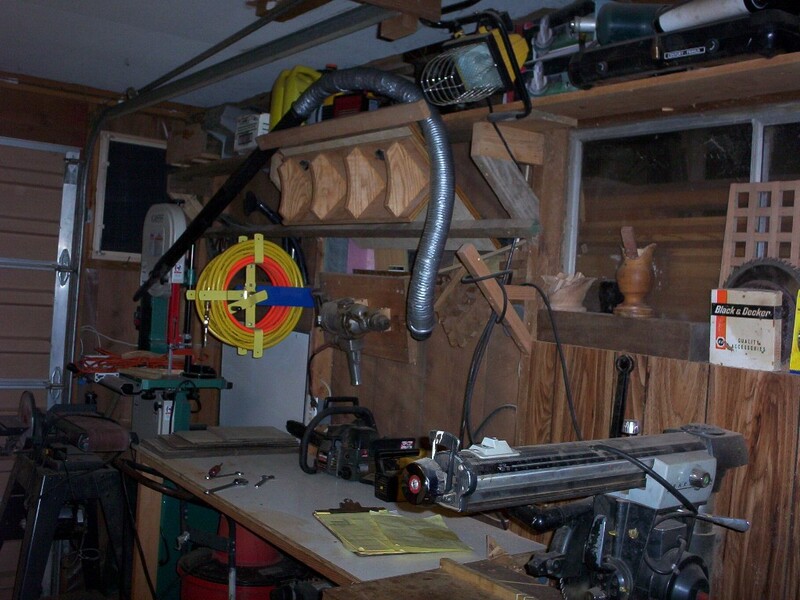 My shop building is 18′ x 32′ with a small bathroom and 9′ x 10′ storage shed tacked on the back. You’ll always want more room, so plan well. My shop has dedicated work benches, cabinets, a central work “island”, outfeed capabilities, wood storage, wood stove, mobile and stationary tools, drop down assembly table, dedictated paint storage, sink, bathroom with shower, and more general storage (with a sorting table). It’s tight but workable. I don’t have the budget (or time so far) to have fitted this out with a lot of fancy gear like a central dust collection system. 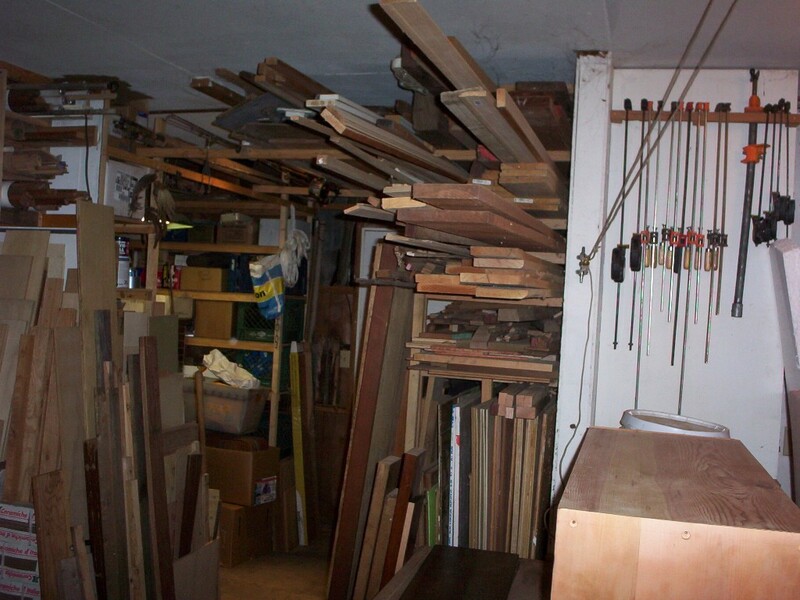 Most of the furniture is DIY or salvaged. Most of the tools are second hand, often self-repaired. What could have cost more than $10,000 (new) only cost $3,000. I try to put my money into: good blades and, when it’s a critical piece of gear, the tool itself. But, I’m also very patient. Keep your eyes open at garage sales and on Craigslist and “it will come”. There’s not a lot that can’t be done in this shop, although a dedicated metal working area might be necessary at some point. I’ve also added a separate “rough carpentry” workbench/area in the horse barn, which is good place to cob together a chicken coop or dog house, build a fence gate, etc. If I had the space, a dedicated automotive shop would be nice, but then, I’d have to start on that diesel land cruiser conversion project, finish my sailboat, and who knows what else. Maybe enough’s, enough. Small 1/4″ socket set, may be added to over time. 1 each Crosscut handsaw, 8 pt. 1 each Crosscut handsaw, 10 pt. or 12 pt. 1 each 25′ or 50′ extension cord, 16 gauge min. 1 each Brick hammer – 24 oz.